Lenovo is now shipping the LePhone K800 in China, a new Intel Atom based smartphone with 4.5" IPS screen and Android 2.3.7. The device sells in China for 3,299 yuan (about $524). Full details at EE Times. 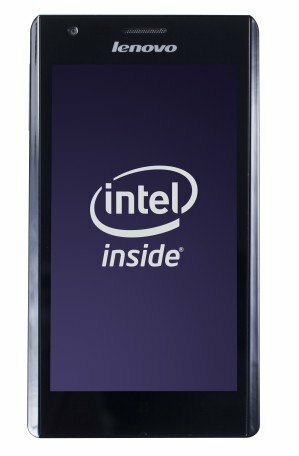 Built almost exactly to the spec of Intel’s reference design, the LePhone boasts a 1.6 GHz Atom processor, built on a 32-nm process. The device also sports a 4.5-inch IPS full-view screen and 400MHz GPU for full 1080p HD playback and video recording. Lenovo has also equipped the phone with an 8-megapixel rear-camera and a 1.3-megapixel front-facing camera. Running Android 2.3.7, LePhone comes with 1 GB of RAM and 16 GB of ROM and supports HSPA+ 21Mbs network on the Intel XMM 6260 platform.